Industrial fans are essential to make a workspace safe and comfortable for employees. 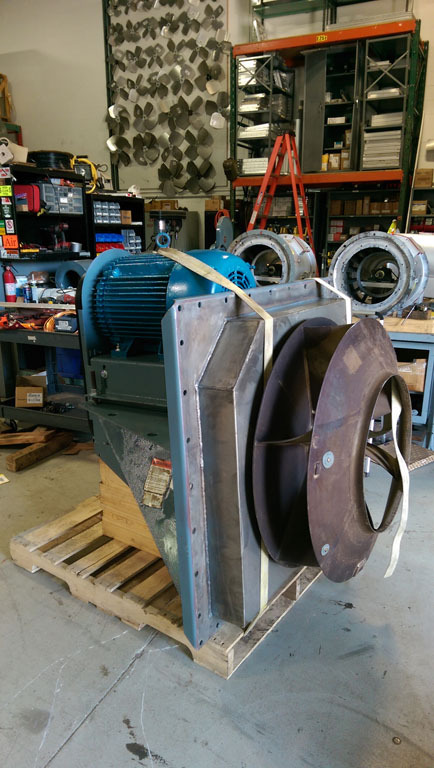 Industrial fans can diffuse heat and ensure a space is within safe working temperatures; it can also let in fresh air and diffuse gases, or it can accelerate drying. Regardless of the type of fan that you need, Dynamic Fan can help you find the ideal model, speed, size and capabilities for your business. 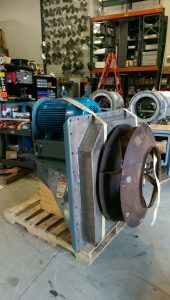 Dynamic Fan will also install any fans that you need, or service or update any existing fans, and we can provide you with replacements parts, including motors, bearings, shafts, pulleys and belts. Dynamic Fan serves a wide variety of industries, installing and servicing fans with a diverse range of sizes, speeds and capabilities. We also provide preventative maintenance services, which help our customers get in front of potential issues, and prevent a minor problem from becoming a major one. As well, preventative maintenance will help keep equipment running at optimum levels for reliability and efficiency. Install a permanent fan or order a fan to place anywhere around your establishment to assist airflow, drying, diffusion, heat exchange, aerodynamics and more. For more information, please contact Dynamic Fan to learn more about any model or any installation.